With the most relevant in marketing strategies, Stacia and Ariana will show business owners how to create, redesign, or expand their businesses to dramatically increase their incomes. 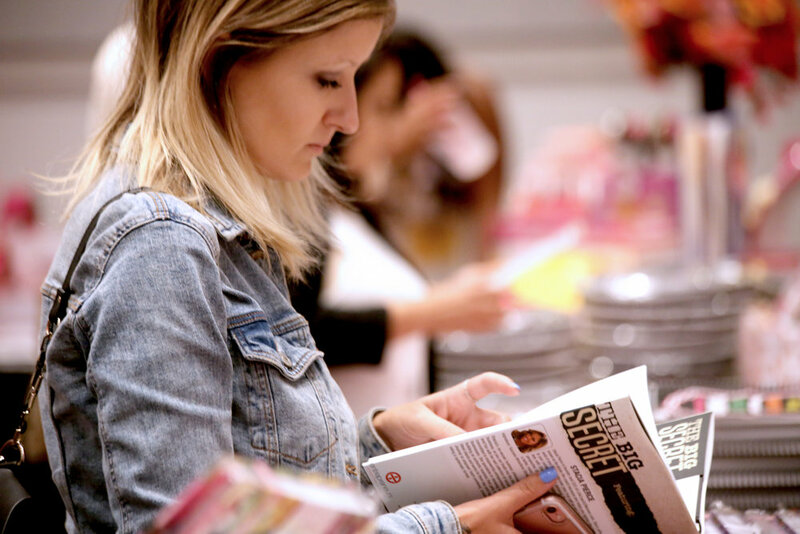 The Women’s Success Conference is designed to awaken your entrepreneurial spirit guide you through your own personal transformation, helping you explore new ways to boost your businesses and lifestyle to extraordinary heights! The Women’s Success Conference is an event uniquely designed for high power business owners and ambitious new entrepreneurs alike. Wherever you are standing in your life’s journey, Stacia will meet you there and inspire you with exclusive information, instruction and a lasting impartation to inspire you to succeed. There is no other conference like the Women's Success Conference...We guarantee you’ll never be the same after this event. If you’re wanting real answers to profit from your passions and take your life and business to the next level of success… you really can’t afford to miss this event. I want to see you there… I am going to use my innate ability to generate countless number of ideas for you and your business… It doesn’t matter if you’re online or offline… I can show you how to double your income, double your exposure and double your impact… using what you already have! And nobody will be left behind! We’ll make sure that each and every one of you understands EXACTLY what you need to do to boost your income in less time, by the end of the event. YOU’LL GET…Sales secrets that can earn you $10,000-$100,000 in any given month. YOU’LL GET…Secrets on how to service your clients in a way that earns you higher fees and more business. YOU’LL GET… Help with organizing your business by setting up a success calendar that ERADICATES your frustration and gives you a focused outlook and a framework to create your fortune. YOU’LL GET… A mini mindset makeover so that you can see yourself as the success story that you already are. YOU’LL GET…My easy-to-implement signature success systems for creating consistent income. YOU’LL GET…To discover the keys to winning all the time under any circumstance so you can keep your edge. YOU’LL GET… A plan to turn your website into a money-making machine. So you can generate money while you sleep and wake up to tons of orders and new passive income that you didn’t have to work all night to make! YOU’LL GET…A peace of mind, knowing you can implement just a few changes and start bringing in more income immediately! For some, only a few changes in your business model can mean more profits in a cinch. I’ve seen it done, you just don’t know what to do, but I’ll show you how! YOU’LL GET… Easy to follow insider’s notes, action steps, networking information, new technology and tools that helps you boost your business. YOU’LL LEARN… Keys to building a business with a shoestring budget. YOU’LL GET… $10,000+ worth of VALUABLE SALES training to boost your business sense and empower you to succeed at a FASTER RATE. YOU’LL GET… New ideas for your business. So you can attract your dream clients, contracts and customers. YOU’LL LEARN… Easy, lucrative and fun new ways to creatively generate money online and off line. So you can fill your books with new clients, have a full house in your restaurant all the time, fill the seats of your next seminar with these easy-to-use business building and marketing techniques. YOU'LL ACTUALLY HAVE F.U.N. We're not all work and no play. Enjoy an evening with us full of live entertainment, exquisite meal and delectable desserts...plus special activities and treatments for our VIP guests. Form new bonds: connect with your new business bestie!